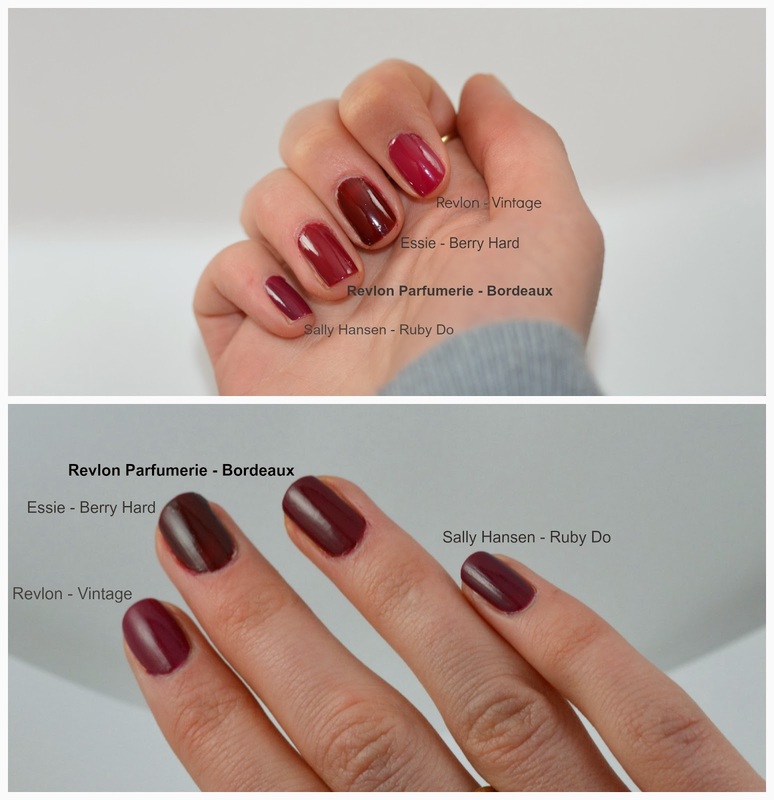 I've tried Revlon's limited edition scented nail polish in the past, and this new line does not change my feelings towards the concept. Although I do like the formula, I feel as if the product lacks that glossy finish which would make it truly great (pictured above). Having to apply top coat masks the scent, which is gone after 24 hours. The colour lasted chip-free for 5 days and was easy to apply. I would consider purchasing other shades regardless of the scent, provided that they are on sale. Nothing was surprising with this nail polish, compared to "strawberry cream" I purchased in 2012 from their typical scented range. The brush is very similar to Revlon's regular brush, just a bit smaller. Overall it is easy to apply and easy to grasp the sphere cap. Quick dry time due to the two thin coats required to reach full opacity. This is pretty standard of regular Revlon nail polishes. I used Butter London base coat and top coat. I do not believe that this formula will last, chip free, for more than 2 or 3 days with no base/top coat. Very innovative and cute packaging. I would make the white sticker a bit more glamorous, but overall, I enjoy the bottle. The one downside, is the fact that it was so difficult to open for the first time. Also, the new bottle contains less product than most other nail polish formulas- 0.4 fl. Oz. in the Parfumerie compared to 0.5 fl. Oz. 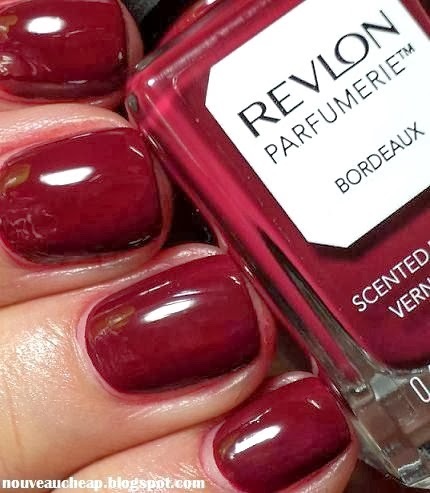 in a typical Revlon circular bottle. For under $10, this is an average value for a drugstore nail polish. I would wait for it to go on sale since these are not much "better" than typical nail polish. If you love a specific scent and would frequently.. sniff your nails.. go wild! I do recommend these nail polishes, like I would with any other Revlon polish, and give them an overall C rating.